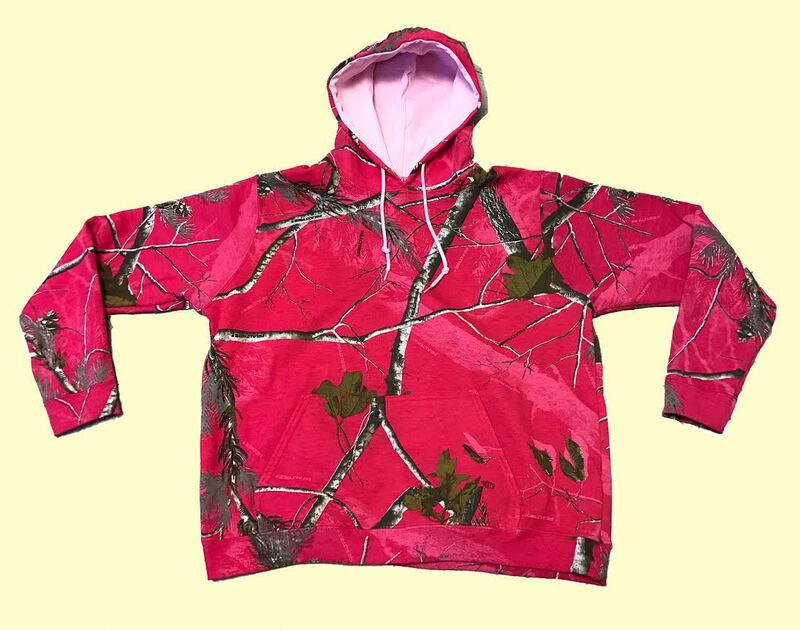 REALTREE pink camo performance hooded sweatshirt, pink lined hood, pink drawstrings, kangaroo pockets, one color as pictured, ribbed cuffs and waist, 70% cotton/30% polyester. Slight irregular. Sizes md and large(scale md-9 lg-3).